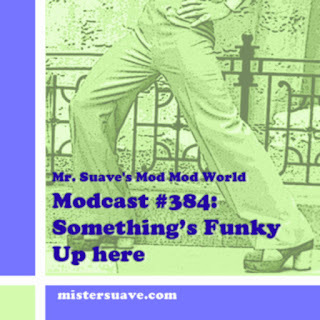 Mr. Suave's Mod Mod World: From The Vaults: (Halloween 2008) Modcast: Monsters A-Go-Go! 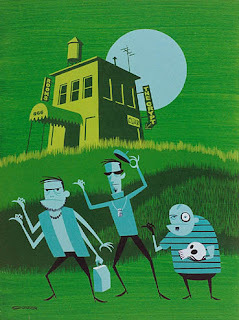 From The Vaults: (Halloween 2008) Modcast: Monsters A-Go-Go! Once more into the vault my friends, once more into the vault. Step back in time, to a time when the modcast was young and fresh. Take a giant step outside your current listening constraints and journey with me all the way back to . . . . what? Just last year? That's not so far back. But it is that spooky time of year again -- Modoween. Last year Ken from The Shingles served up a heapin' helpin' of spooky stuff and he's gearing up to do so again next week. So, this week I'm just giving you a little reminder of what you have to look forward. I've opened up the vaults and dusted off a classic Ken modcast that I think you'll enjoy. Again.